The Mouse Trebuchet is a Physical weapon. For those so inclined to not so much harm a mouse, but rather relocate it a few miles away there is the wooden mouse trebuchet. When triggered this trap catapults the mouse at over 500 miles per hour up to a range of 7 miles. 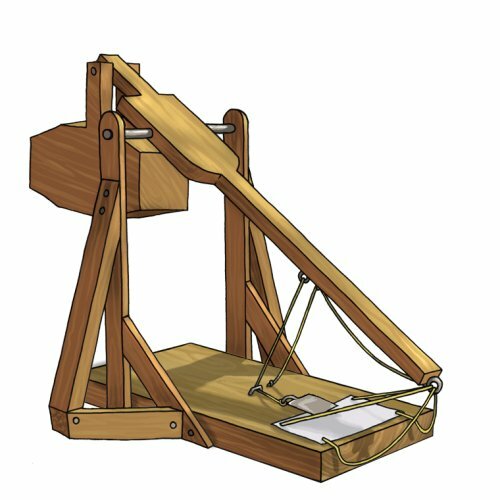 The Mouse Trebuchet can be purchased for 15,850 gold from the Meadow, Town of Gnawnia, and King's Gauntlet Trapsmiths. It refunds for 2,855 gold at the same locations.